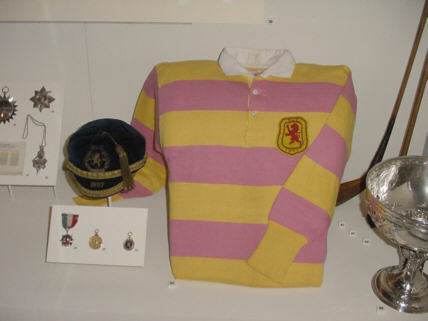 This old International football (soccer) strip photograph was taken at Scotlands national Museum. It is one of many exhibits which chronicle Scotland through the ages. Scotland loves football with a passion and it is interesting that the colours of this strip are yellow and pink. Traditionally it was believed that Scotland play in a deep/ dark blue football jersey - clearly not the case!